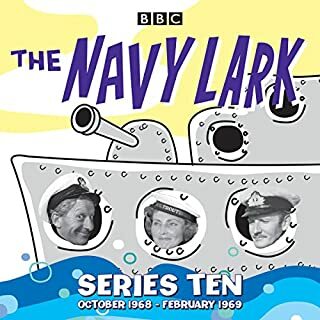 All 16 episodes from the eleventh series of the hugely popular, long-running BBC radio comedy starring Stephen Murray, Leslie Phillips and Jon Pertwee. This audiobook comprises the episodes 'Commander Murray and the Squatters'; 'What Is the SSE? '; 'Pertwee Climbs Up the Promotion Ladder'; 'Stranded'; 'Sir Willoughby's Party'; 'The Fleet Initiative Test'; 'CPO Pertwee's Long Service Medal'; 'The Phenomenal Pertwee Tug'; 'The Security Clampdown'; 'The Anniversary and the Washing'; 'The Forbodians Hijack Troutbridge'; 'Number One Gets Married'; 'The Honeymooners Return'; 'CPO Pertwee and the Lead Half Crowns'; 'Sub-Lt Phillips to Leave for Dartmouth and The Mark 31 Radar'. Bonus items include Alastair Scott Johnston's introductions and sign-offs to two of the double recording sessions plus outtakes from several shows. 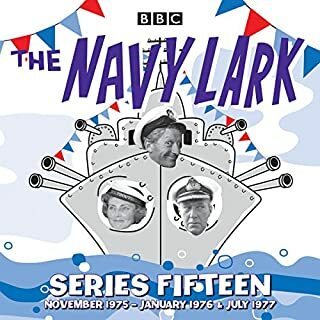 A PDF booklet is also included, featuring a detailed history of the development of this series of The Navy Lark, cast biographies,an episode guide and a special episode guide for The Big Business Lark (episodes not included). 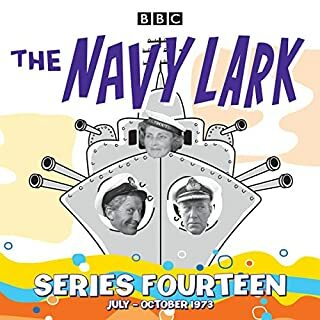 Stephen Murray, Leslie Phillips and Jon Pertwee star, with Richard Caldicot, Heather Chasen, Tenniel Evans and Michael Bates, in these classic episodes of hilarity on the high seas. A good series of Navy Lark, and contains many episodes not included in the set which the BBC has been cycling around iplayer for several years now. Only poor point about this one is the inclusion of some completely irrelevant uninteresting and unfunny, and rather lengthy, commentary material at the end. As all these later series do, it suffers from too much gobbledygook (speech impediment humour) raising howls of laughter from the audience. Very trying. For those who are searching out particular incidents or eras, this is the one with Murray and Rita getting wed. This cast of nautical misfits was the best comedy of the 1960s and like Dad's Army on TV, is hilarious even in the 21st century! 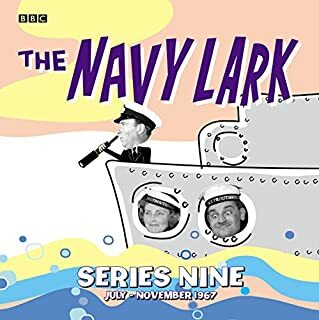 What did you like most about The Navy Lark: Collected Series 11? 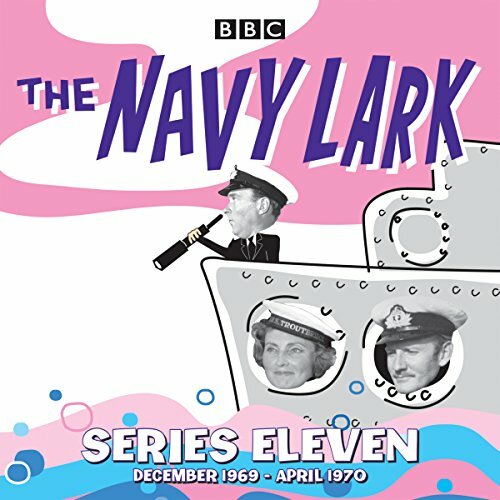 What other book might you compare The Navy Lark: Collected Series 11 to, and why?